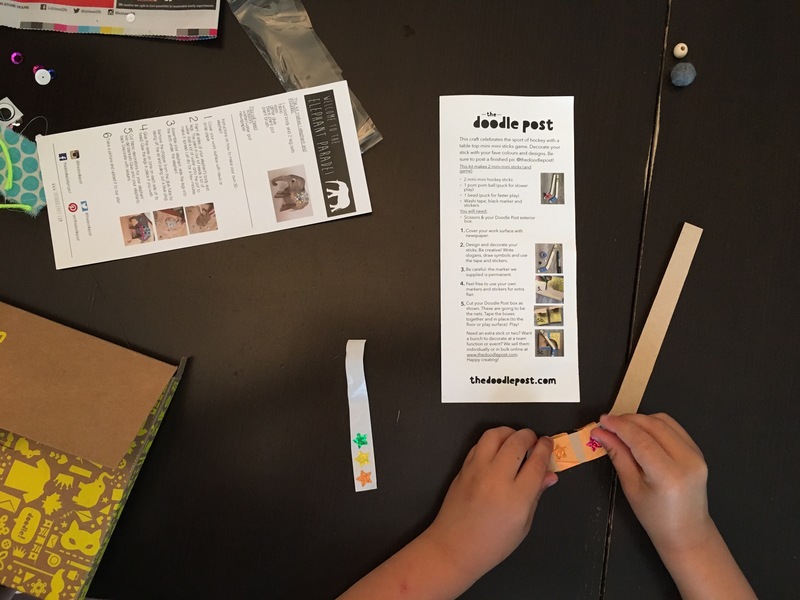 The Doodle Post || Made-in-Canada Craft Subscription for Kids | Kids in T.O. 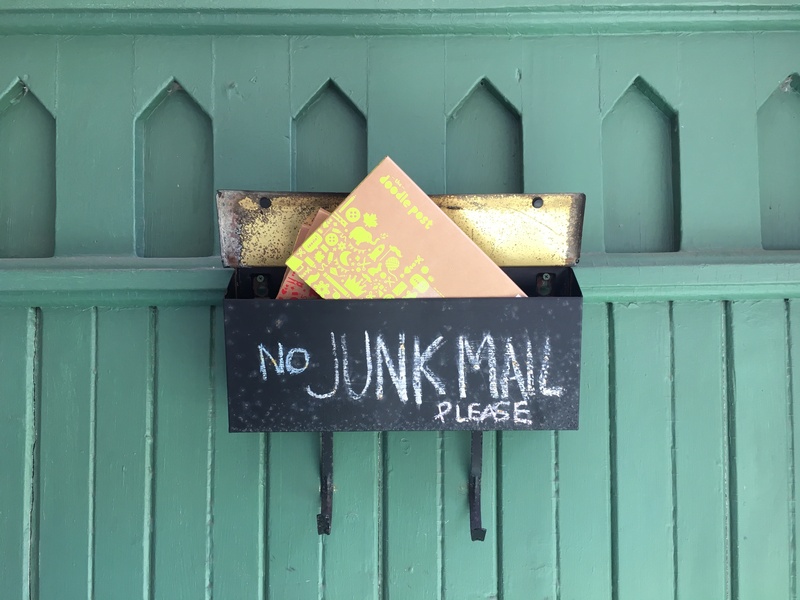 My kids love mail. Letters, bills, magazines – you name it. This summer they were extra excited to see their names on colourful cute boxes. 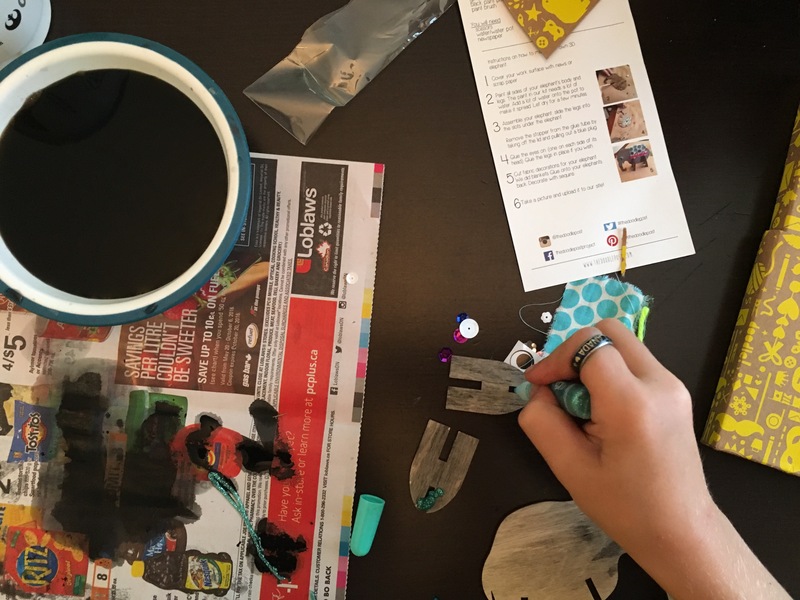 Inside – a surprise craft from The Doodle Post. Toronto-raised mom Erin Clark-Wynn is the creative force behind this cool craft subscription for kids. Drawing from her passion to craft and years of experience in the marketing biz, as well as creating her own after-school art programmes for kids, she launched The Doodle Post from her home in Newmarket, Ontario last year. The projects are aimed at kids 5-12 years-old and are made with Canadian materials and locally-sourced wherever possible. Easy instructions and photos are included. It took my seven-year-old about a half-hour to complete his. Meanwhile I helped my four-year-old with his. 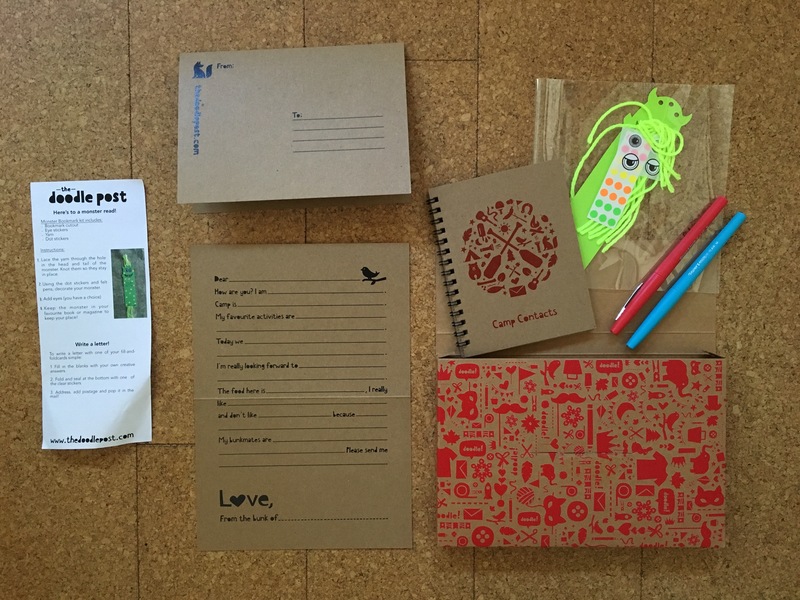 NEW: This summer, The Doodle Post launched Camp Care Packages that include two fill and fold letters, two seals, felt pens, a journal and a DIY bookmark craft with all of the necessary materials and instructions. The kits are sold starting at $21 online and can be sent to any camp in North America. A portion of Doodle Post sales is dedicated to promoting creativity in Canadian youth, with proceeds going to organizations like Sick Kids hospital in Toronto and area after school art programmes.